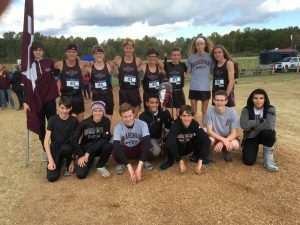 The Boardman boys varsity cross country team placed 10th overall in the Northeast District Meet held at the Trumbull County Fairgrounds this past weekend. Junior Mitchell Dunham advanced to the Regional Meet for the third year in a row by running a time of 16:05.30 and finishing in 11th place. The top 20 runners and five teams qualified to the Regional Meet that will be held at Boardman on Saturday, October 27th. At the Regional Meet, the top 20 runners will advance to the OHSAA State Meet. Good luck to Mitchell Dunham at the Regional Meet and to Boardman Head Coach John Phillips on the accomplishments of the team thus far in the season.